First things first, I was surprised to say that this book is not the kind of book where the characters hook-up and fell-in love by the end of the first 3 chapters. This is not the book where the characters think only about attraction and sexual tension. 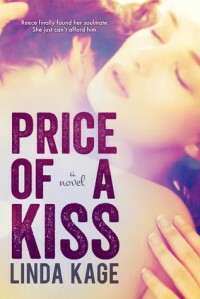 Price of a Kiss may have its similarities with your typical NA story but the way it was written and conceptualized makes it unique. Honestly, how many times do you get to read a book about a gigolo and ending up loving that gigolo? The author did a great job in pulling off the intriguing blurb for she presented one amazing story. The Prologue of the story was powerful enough to introduce us to Mason. It gave me a good understanding on why thing are the way they are before the author brought us to the present time. When the first chapter cam, I can’t help but feel intrigued and anticipating on how things would be and so the twisting story of Mason and Reese starts. Reese is the perfect contradiction of a character – she’s bubbly and feisty; innocent yet mature. 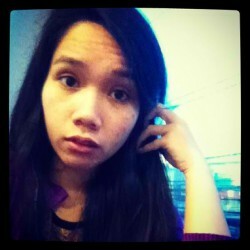 She’s a very likeable character especially her non-stop internal monologues that definitely endear and makes me laugh. From her first conversation with his cousin Eva, she captured me with her humor and sarcastic remarks. Mason Lowe - the guy who has the face that seems like the angels sprouted around him and began to sing harmonious worship to his glorious face. But he’s more than just a pretty face because he’s our resident gigolo and I’m telling you guys he does not have any payment plan or something where his prices are reduced for the lower income which means he's a big time gigolo. ;) As I have mentioned, the prologue tells us about or lets us see why he has to be a gigolo and honestly it tears my heart to see that he can’t be like any other teenager and have a normal relationship coz people think he’s not normal or anything because he was labeled as gigolo; he’s stuck is a very rock and hard palce. But the admiring thing about him is that he does not let people’s judgment of him ruin his whole life. Mason is intense, admirable and an excellent brother to Sarah – who has a cerebral palsy. He’s utterly sweet with her and became more of a sweetheart whenever he’s with her. Excellent chemistry is a must and Mason and Reese definitely has it. From the very beginning I wanted them to be together but the author make me work hard before I reached those happy parts! Their conversations and banters are my favorite parts. Their relationship is tinged with great and genuine friendship and the anticipating tension is of course there. The story is full of angst, drama and the air of forbidden love of sort. As I have mentioned; I like the writing and conceptualization of this book. It has a lot of twist and turn - some expected some or not but it built up greatly for the book. I like how the author did a great balance with things on her book - there are different types of scenes making it diverse for me - from the funny, sweet, intense, mysterious, fight and steamy scenes - it’s all present here. I'm one satisfied reader! Will surely be reading more from Linda Kage.